The area of the district is approximately 2085 sq. km. bordered by Tibet in the North, Bhutan in the South-West and Sela ranges separate West Kameng district in the East. The name TAWANG derives from some bearings on surroundings. But people's interpretation is that the name TAWANG was given by Mera Lama in the 17th century. One can reach Tawang from other parts of the country via Guwahati and Tezpur in Assam. From Guwahati(Assam) or Tezpur(Assam), one has to go to Bhalukpong in West Kameng district of Arunachal Pradesh and from there via Bomdila and Sela Pass one can go to Tawang by road. The inhabitants of the districts are all of Monpa tribes except Shyo village which is dominated by people of Tibetian origin. The Monpas belong to Mongoloid stock. They are well built, fair in complexion. Their houses are built with stones and timbers. Agriculture and Animal Husbandry are the fundamental means of the Monpas occupation. Tawang Monastery is one of the most important element in Social and Religious life of the Monpas. This Monastery is known as "GALDEN NAMGYEL LHATSE". It is one of the most largest Lamaseries of Mahayana sect in Asia. Lamseries comprise of several sections ranging near about four hundred years, devoted to Love, Learning and Purity of life. This fortified complex covers an area of 135 sq. meters enclosed by a compound wall of 610 meter long. Within the complex there are 65 residential buildings and 10 other structures. The library have valuable old scriptures mainly Kanjur and Tanjur numbering 850 bundles. It is dated back to 17th century A.D. There are two major religious festivals of the Monpas viz "LOSAR" and "TORGYA". Both festivals are celebrated once annually. The LOSAR s celebrated to the commencement of New year. Every third year of Torgya, the festival of Dungyur is celebrated. Both "Dungyur and Torgya" festivals are celebrated at the premises of the Tawang Monastery with traditional gaiety and enthusiasm. There are beautiful lakes around Tawang. One is Pankang Teng Tso (P.T. Tso ) lake. It is a fetching heaven for tourist only 17 KM away from maddening crowd of township. 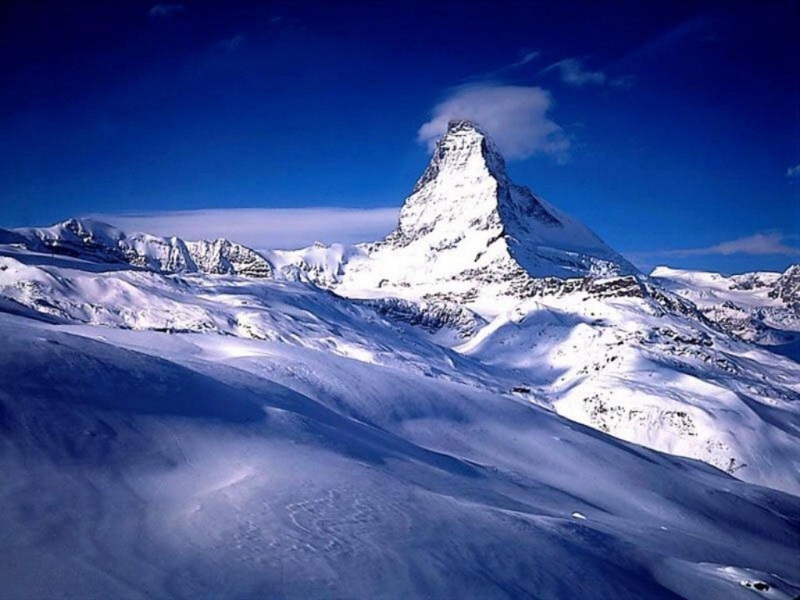 It is a beautiful natural site and provide tourist a lucky chance for deep communion with nature. Other eye catching lakes are Sangetser lake , Banggachang lake. Majuli, the largest riverine island in the world, nestles in the lap of the mightly Brahmaputra. This is where the 15th century saint and fountain head of Assamese culture, Sankardeva, first established a Satra or neo-Vaishnavite monastery, born of insightful discourses with his spiritual successor, Madhabdeva. Today, Majuli is the principal seat of Vaishnavite faith, culture and practice. The treasures of Majuli are undoubtedly it's Satras. The first satra, set up by Sankardeva and Madhabdeva together, was Manikanchan Sanjog, now no longer extant. Subsequently, Majuli became the centre of 65 such satras. Of these, there are only 22 satras in Majuli today. Due to the annual floods and constant land erosion, Majuli today is only a fraction of it's original size of 1256 sq. km. recorded by the Imperial Gazetteer in 1901. This has forced many of the sattras to shift base to Assam's mainland. Among those the main existing satras are Dakhinpat Satra, Garamurh Satra, Auniati Satra, Kamalabari Satra, Benegenaati Satra and Samaguri Satra. These Satras are the treasure houses of the songs and dances initiated by Shri. Sankardeva like "Bongeet" Matiakhara, Jumora dance, Chali dance, Motua dance, Nande Bringee, Sutradhar, Ozapali, Apsara dance, Satria Krishna dance, Dasavater dance etc. A walk through the villages of Majuli is highly recommended to savour the warmth of the people and their simple way of life. Most of them practice agriculture, fishing and weaving. Boat making, dairy farming, pottery and handloom are other important activities. The weaving is particularly exquisite, making use of a whole range of colours in cotton and silk, found only in Assam. Majuli also has an exciting bio diversity. If the visit is timed right, one can spot many rare and endangered avifauna species here, such as the greater adjutant stork, pelican and the whistling teal. Majuli produces about a hundred different varieties of rice without a drop of pesticides or artificial fertilisers. Among the fascinating arrays gorwn is Komal Saul, a unique kind of rice that becomes edible after just 15 minutes of soaking in warm water. It is usually eaten as a breakfast cereal. Bao Dhan grows under water and is harvested after ten months while Bora Saul is a sticky brown rice, used to make pitha, the traditional Assamese rice cake. 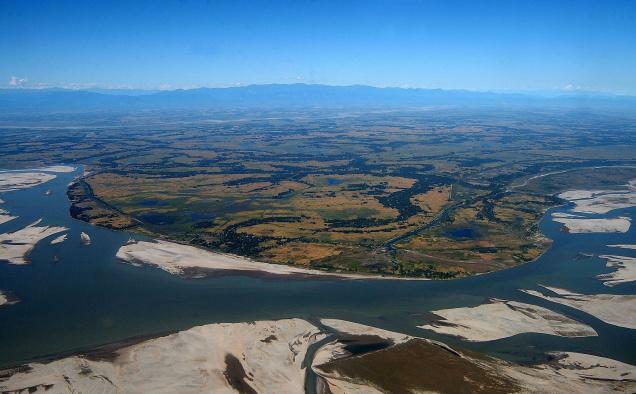 The government has initiated the efforts to save Majuli from the ravages of the Brahmaputra. Majuli is currently in the Tentative list of UNESCO World Cultural Heritage Sites and is undergoing scrunity as a World Cultural Heritage Site. 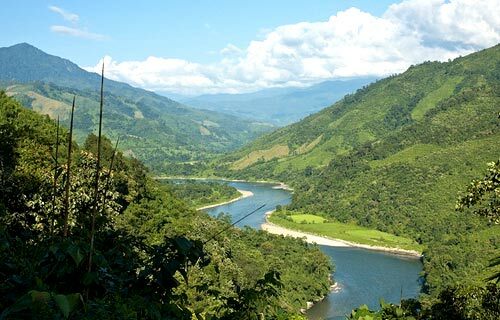 Bhalukpong is the entry point to the western side Arunachal Pradesh. It is situated on the bank of the river Jia Bharali and is a place boasting of all the elements of nature. It i s famous as picnic spot and adventure tourism like rafting, trekking and hiking.The lofty mountains housed in Bhalukpong is a trekker's delight. The long and amazing trails along the mountains seem to be the best destination for the trekkers in Arunachal Pradesh.